JANUARY 17, 2019 – LOS ANGELES, CA 2019 FNI Staffer (Top team Player) of the year Award – Greg – FN LA, SFV, LB 2018 FNI Top Regional Venue of… Continue reading "2019 FNI AWARD WINNERS"
What a night! 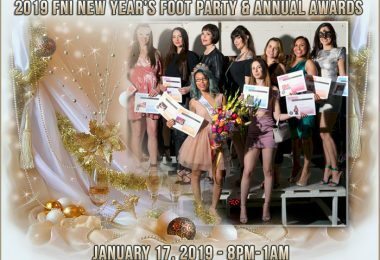 The FNI New Year’s Foot Party & Annual Awards was a night for the books! 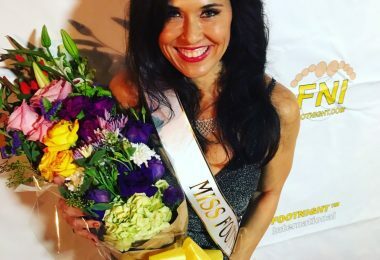 In spite of the earlier storms, Footnight friends and fans traveled in… Continue reading "2019 MISS FOOTNIGHT – TOMIKO!" VOTING HAS NOW ENDED & THE RESULTS ARE BEING TALLIED! VOTING HAS NOW ENDED & THE RESULTS ARE BEING TALLIED! Thanks for all of your votes and for your great support of the Nominees Come and meet and delight in… Continue reading "VOTING HAS NOW ENDED & THE RESULTS ARE BEING TALLIED!"